Commercial Mold Removal and Remediation in Albany, Saratoga, Warren, Bennington, Washington, Schenectady, Oneida, Onondaga Rensselaer counties, and the surrounding upstate New York area. Mold affects not just your property and contents but it can harm the health of you and your co-workers. Mold infestations can be caused by excess moisture and minor water leaks from roofs, plumbing and appliances. Left untreated, mold can cause serious structural damage to your facility. At KPM Restoration we take a systematic and scientific approach to carefully identify the source of the mold growth and eliminate it from your work environment. Removal and remediation of mold are the main objectives once the mold protocol is initiated. 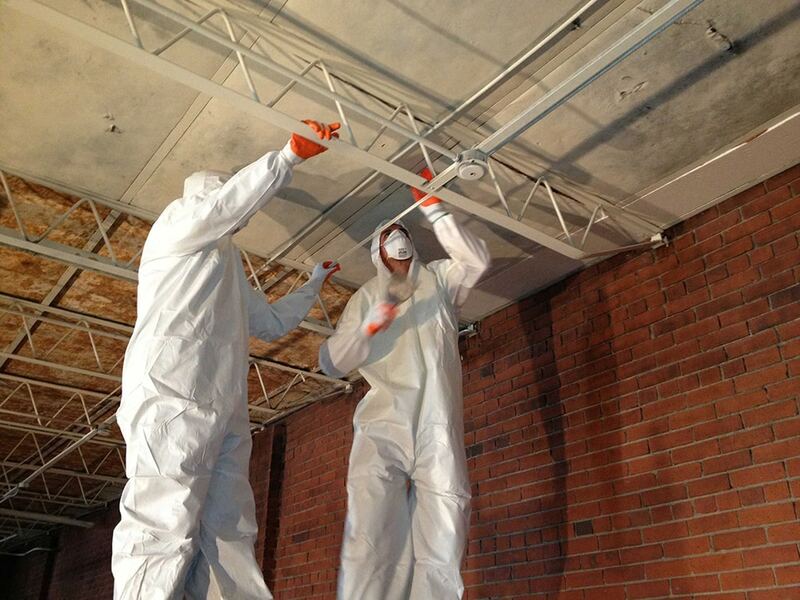 We remove the mold damaged areas and remediate all effected surrounding areas. We utilize HEPA filtration devices to filter your air of mold spores. Once the mold is removed and remediated we rebuild and repair any parts of your property that were damaged. and the surrounding Upstate New York area.